New Zealand, according to the 2013 census, is home to 6,867 Jews. The most southern Jewish community in the world, New Zealand Jews comprise a small, but vibrant part of the national character, participating in various aspects public life, including government, popular culture, and athletics. The main body of representation for the New Zealand Jewish community is the New Zealand Jewish Council – the New Zealand affiliate of the World Jewish Congress. Jews began to arrive in New Zealand in the early decades of the 19th century, quickly establishing themselves in industry and commerce, as many were active in commerce with Australia and the United Kingdom. As settlement spread across the islands and immigration increased due to the discovery of gold on South Island, synagogues were established in Auckland, Wellington, Dunedin, Christchurch, Hokitika, Timaru, Nelson, and Hastings. Julius Vogel served as the first Jewish Prime Minister during this time, holding office from 1873-1875 and again in 1876. In the 20th century, the community was bolstered by Jews who joined the flow of immigrants from Britain. Extremely restrictive government policies on immigration, only allowed a small number of Jews fleeing Nazi Germany to find refuge in New Zealand around the time of World War II. Michael Myers became the first Jewish Chief Justice, serving from 1929 to 1946. Today, the Jewish community in New Zealand is small, but very active in New Zealand society. John Key, who is of Jewish descent, served as Prime Minister from 2008-2016. Though not a practicing Jew, Key has been sympathetic to both Israel and New Zealand’s Jewish community during his time in office. He was the fourth Jewish Prime Minister. New Zealand’s response to Jewish refugees seeking to flee Nazi Germany was both indifferent and callous. Strict immigration policies and a general prejudice against “non-British” immigrants, saw various legal and bureaucratic complexities keep out thousands of Jews seeking admittance into the country. European Jews were not classified as “refugees” by the New Zealand government, with their admittance or rejection at the mercy of the discretion of the Minister of Customs and his officials. Edwin Dudley Good, Comptroller of Customs, summed up the mindset of New Zealand immigration officials with the following assertion: “Non-Jewish applicants are regarded as a more suitable type of immigrant.” Much of the opposition to the admittance of Jewish refugees was based on fears of competition in terms of the market and workforce. There was also a fear that anti-Semitism would gain prevalence in New Zealand with the admittance of Jews. The New Zealand Jewish community was very active in working on behalf of the refugees, with the Auckland Jewish Welfare Society standing out. Overall, about 1,100 Jewish refugees were able to gain entry in the country, and thousands of others were denied. According to the 2013 census, the Jewish community in New Zealand numbered 6,867 people out of 4,242,048 overall. This is in comparison to the 1,858,977 Christians – 43.82% of the population; 89,919 Hindus – 2.12% of the population; 52,947 Māori Christians – 1.25% of the population; and 46,149 Muslims – 1.09% of the population – that constitute the religious majorities in the country. Jews constitute 0.16% of the population respectively. The two major centers of New Zealand Jewry are Auckland and Wellington, with smaller communities also residing in Christchurch and other cities. The New Zealand Jewish Council represents the community, acting as the representative to the government, and working to promote and protect the interests of the community. Its structure is comprised of five regional councils – Auckland, Waikato, Wellington, Canterbury, and Otago. They focus on combatting anti-Semitism and supporting Israel, among other things. The Community Security Group works to protect Jewish life from the threat of anti-Semitism, working closely with the New Zealand police. The Australasian Union of Jewish Students (AUJS), a cross-communal organization that represents the interests of Jewish students in both New Zealand and Australia. The Zionist Federation of New Zealand, an organization devoted to supporting both the Israeli and New Zealand Jewish community. The Auckland Jewish Immigration, a voluntary organization that works under the auspices of the Auckland Hebrew Congregation to help welcome, settle, and integrate newly arrived Jewish families. There are two Jewish old-age homes, with Shalom Court Boutique Home & Hospital in Auckland serving as the more notable of the two. B’nai B’rith is active in New Zealand in all its activities. Hadassah International is also present and contributes significantly to the support of the Hadassah Hospitals in Jerusalem. New Zealand Jews are primarily modern Orthodox, with a smaller Progressive community and three Chabads rounding out the religious identification amongst the community. Synagogues are considered to be the center of the communities in New Zealand, acting as both places of worship and places of Jewish gathering. Kosher food is available in both Wellington and Auckland, but may be difficult to find outside of the country’s major cities. After the closure of the Moriah School in Wellington, the only Jewish day school in the country is the Kadimah School in Auckland. Kadimah School offers both Preschool and Years 1-8, focusing on providing a comprehensive Jewish and secular educational experience as both a Jewish day school and state integrated school. The Auckland Hebrew Congregation also has educational opportunities, albeit in an extracurricular capacity. Additionally, the Raye Freedman Library promotes Jewish secular education through its extensive Jewish collections and resources. The Rabbinical College of Australia and New Zealand, or “Yeshiva Gedolah,” serves as the main rabbinical studies center in the Oceanic region, and is an Orthodox institution. Some of New Zealand’s more notable secular institutions offer various Jewish studies courses through a variety of different disciplines, including the humanities, history, philosophy, religious studies, and many more. A chapter of the international Melton Adult Education Program operates out of Auckland, offering Jewish educational courses for adults, as does both the AHC and Wellington Jewish Community Centre. Jewish youth groups in New Zealand, include major international organizations such as BBYO, Bnei Akiva, Habonim Dror Aotearoa, and B’nai B’rith. The Australasian Zionist Youth Council Inc (AZYC) is the umbrella body for the 7 Zionist youth movements in both Australia and New Zealand. Jewish media in New Zealand is limited. A weekly radio show based in Auckland, Radio Shalom, features a diverse lineup that includes discussions, interviews, and airings of Israeli music. There are notable Jewish sites in the cities of Auckland and Wellington, including the Old Synagogue and Symonds Street Cemetery in Auckland. The Auckland War Memorial Museum contains a Holocaust Gallery that contains notable artifacts, photos, and other material, and the Holocaust Centre of New Zealand, in Wellington, has an extensive collection of records, archives, and research that is used to not only teach the Holocaust, but also to relate to other victims of racism and prejudice. The New Zealand Jewish Archives contains collections of Jewish artifacts, manuscripts, and other documentation depicting Jewish life in New Zealand, and the Jewish Online Museum – the world’s first and only online Jewish museum – offers a distinct experience detailing the New Zealand Jewish community. Israel and New Zealand have full diplomatic ties, yet there has been recent tension between the two countries, relating to New Zealand’s co-sponsoring of a UN Security Council resolution condemning West Bank settlements. Israel had downgraded diplomatic ties with New Zealand and recalled its ambassador in response. 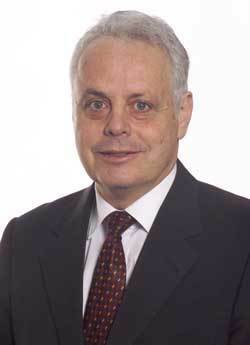 As of now, full diplomatic relations have been restored, and the Israeli ambassador has returned to Wellington.